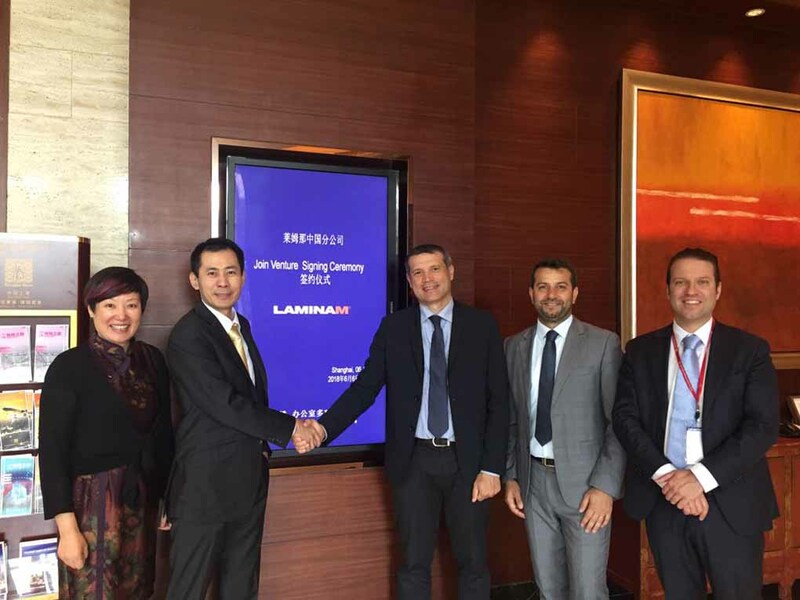 Laminam, a leading Italian company in the production of large-format ceramic slabs for architecture, interiors and furniture, signed a joint venture with important Chinese entrepreneurs on 6 June. The agreement was signed in Shanghai between AD Laminam Spa Alberto Selmi and Chinese entrepreneurs Mr. James Huang and Mrs. Ge Fei, owners of the company Fhr Resources, also a leading company in the construction sector for over twenty years and the importation and distribution of marble. 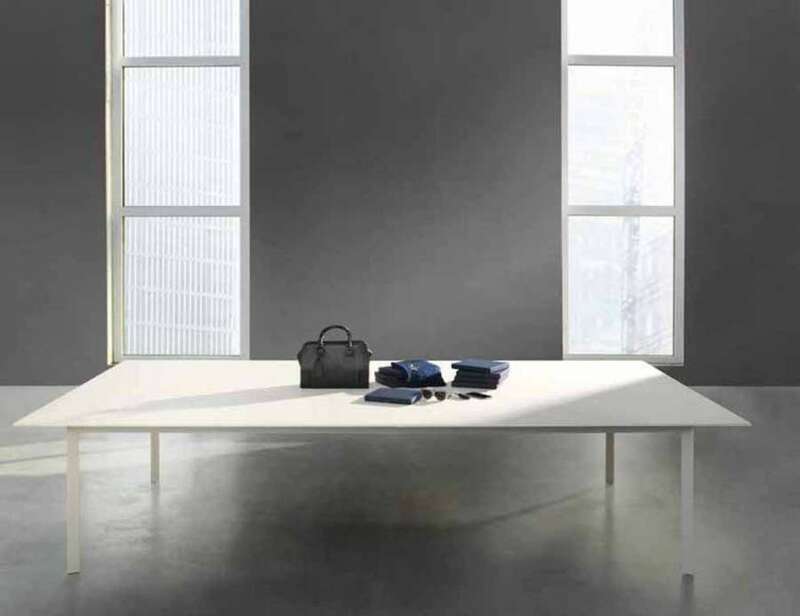 So Laminam China was born with the aim of providing a valid support to the growth and the achievement of the industrial objectives of the company from Fiorano Modenese and to further expand the offer on the Chinese territory. Moreover, Laminam already holds a strong leadership in China; an example of this are the recent acquisitions of two important contracts in the capital: the lining of all the buildings of the new Olympic village and the lining of the new Z15 and Z12 skyscrapers, today the tallest buildings in Beijing. Alberto Selmi, AD Laminam, satisfied with the agreement, said: "We have specifically chosen June 6 as the official date for the signing of the joint venture, as it is the date of the Chinese planting (the ninth solar term of the Chinese lunar calendar), this is a sign of good luck to carry forward with all our strong conviction the growth that we are sure will have the company in the near future, in line with the results of colleagues in the rest of the world. Exports account for 70% of our turnover and China is one of the fastest growing markets. This joint venture operation aims to strengthen our brand and consolidate our leadership in a territory where ceramic slabs have enormous potential". 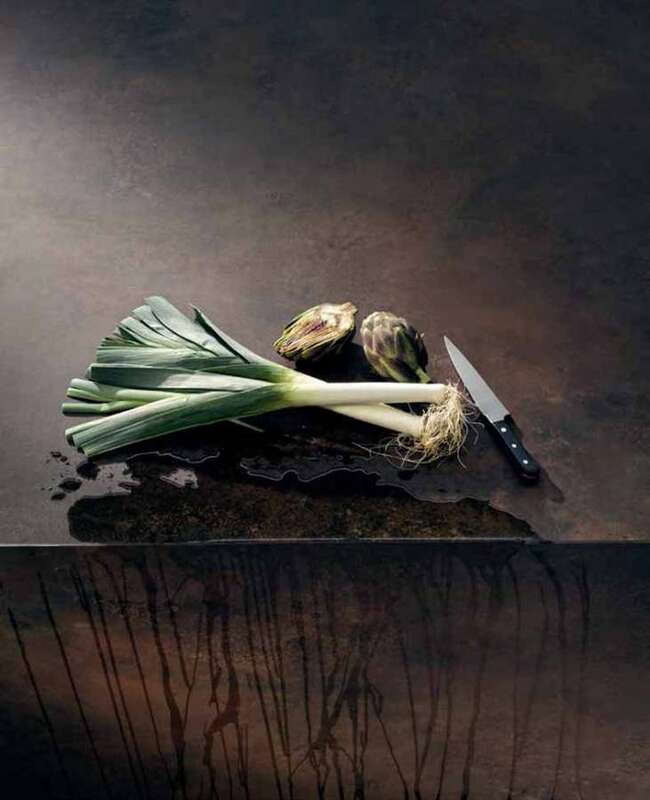 Laminam ceramic slabs, 1620x3240mm, 12 and 5.6 mm thick, are aimed at the world of furniture, like horizontal surfaces, from tables to kitchen and bathroom tops. 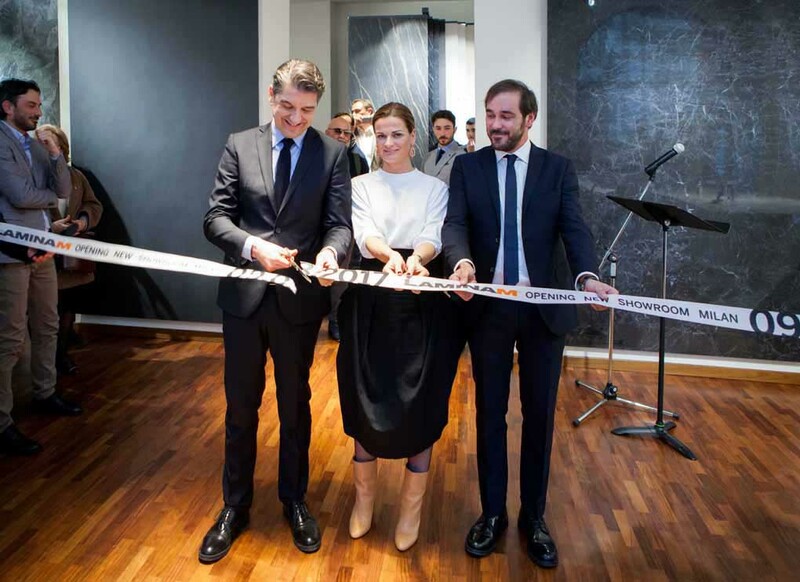 Laminam opens a new Milan showroom in Via Verdi 5, in the heart of the city where, in a new larger exhibition space, displays the main collections as well as some examples of uses for the material.